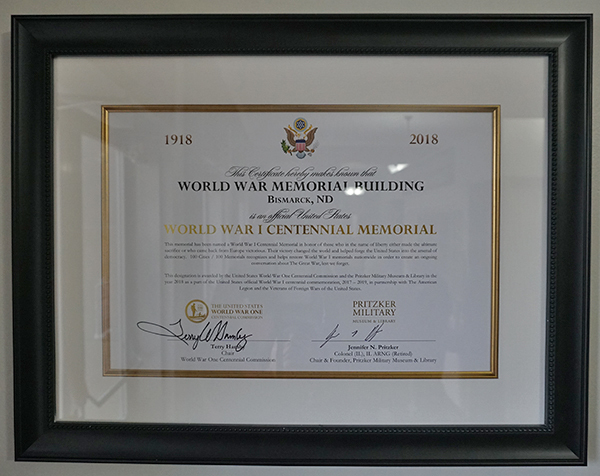 The World War Memorial Building, a downtown recreation center and a Bismarck Parks and Recreation District (BPRD) facility, has been named an official World War I Centennial Memorial. This distinction comes from the US World War I Centennial Commission and the Pritzker Military Museum & Library’s desire to name 100 memorials in 100 cities on the anniversary of the United States entering World War 1. Because of this distinction, BPRD received a $2,000 matching grant to be used toward the restoration, conservation and maintenance of this historical treasure. 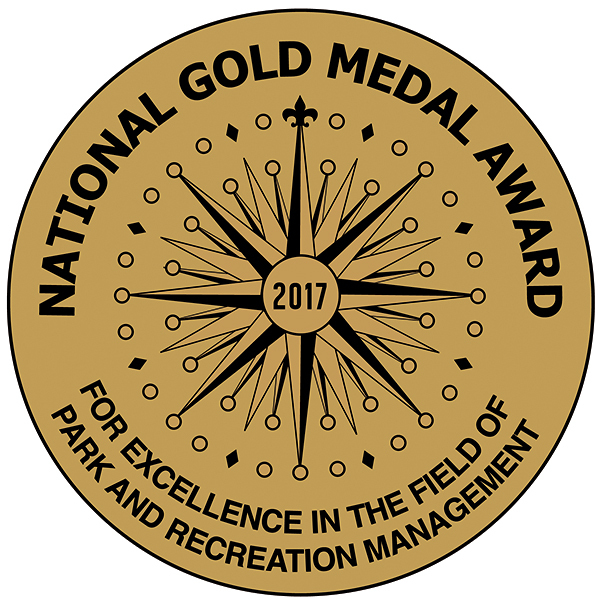 The grant was submitted by Susan Wefald, Bismarck, Vice Chair of the North Dakota World War One Centennial Committee. The World War Memorial Building was built with the support of Bismarck and Burleigh County voter approved bonds in a special election in 1929. The building was completed in 1930 and consisted of a convention hall, National Guard armory, gymnasium and additional rooms for community purposes. The timing of the building’s completion was appreciated when the North Dakota capitol building burned down in January 1931. The facility’s gym space and meeting rooms were used by the North Dakota Legislature that year. The first boy’s state basketball tournament was held in the facility in 1933, with Bismarck High School crowned as champions. Today, the World War Memorial Building has three basketball/volleyball courts, a youth gymnasium, a racquetball court and a fitness/karate room. Youth and adult recreational programs keep the 88-year-old building busy. It is also home to the Bismarck Mandan Symphony Orchestra offices. Susan Wefald of the North Dakota World War One Centennial Committee presents a check to Bismarck Parks and Recreation District Executive Director Randy Bina. Bismarck’s World War Memorial Building is an official World War One Centennial Memorial.